Brandjacking – the practice of attempting to hijack a Restaurants brand and name is a common practice in the restaurant industry, which some restaurant owners are not even aware of. There are two types of restaurant brandjacking commonly seen in the industry, first there is bidding for keywords directly related to a Restaurant in order to get the consumer looking for the Restaurant to click onto the online ordering companies website rather than the Restaurants. Brandjacking effects thousands of Restaurants and costs many thousands of dollars every month. The second practice, which is the much more insidious practice carried out by some Online Ordering companies is to create websites with very similar names to the Restaurant in an effort to confuse the customer and to get them to order from the online ordering company. This Restaurant brandjacking can be very lucrative, with online orders attracting commissions of 10% with some companies, like Menulog now having plans to increase the commission rate to 15%. Online ordering companies understand that the one piece of strategic high ground that the Restaurant owner has is their own website. Restaurant owners generally will only place one online ordering widget on their website and so online ordering companies resort to bidding for clicks and attempting to outrank the Restaurants website with one of the lookalike fake websites. 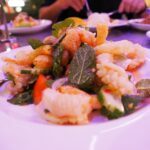 This has become increasingly important as Restaurants now have the option of using a Free Restaurant OnLine Ordering System, which is commission free, pays within 4 days and provides the restaurant details with the customers email address, allowing them to build their own restaurant marketing database, not someone elses. The brand name of your Restaurant is your intellectual property. If the restaurant has been around for a long time, the Restaurant will have built up a lot of goodwill and Brandjackers are attempting to cash in on the goodwill of your Restaurant for their own profit which decreases yours. After the recent purchase of Wotif Holdings by Expedia for $703 million dollars, both Priceline and Expedia raise their commissions from 12% to 15%. Priceline, which is the owner of OpenTable, recently purchased AS Digital in Australia, which provides Restaurant booking services. It was hoped that the entry into the Australian market by Opentable would provide some competition for Dimmi and AS Digital’s Respak product, but instead of bringing their product to the Australian market they have just bought AS Digital’s. What happens when too much power is in too few hands? 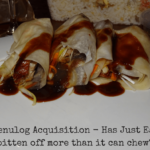 The price paid for Menulog highlights the digital land rush that is currently underway in the Restaurant ordering business. The price highlights the willingness of companies to pay a premium in order to be able to establish a digital monopoly or duopoly. In the Hotel industry, both Expedia and Priceline were able to raise commissions from 12% to 15% because of the decreased competition. Realestate.com and Carsales are excellent examples of what happens when digital monopolies are created, with advertisings facing never ending price increases. How many Restaurants are being brandjacked and what is the cost? 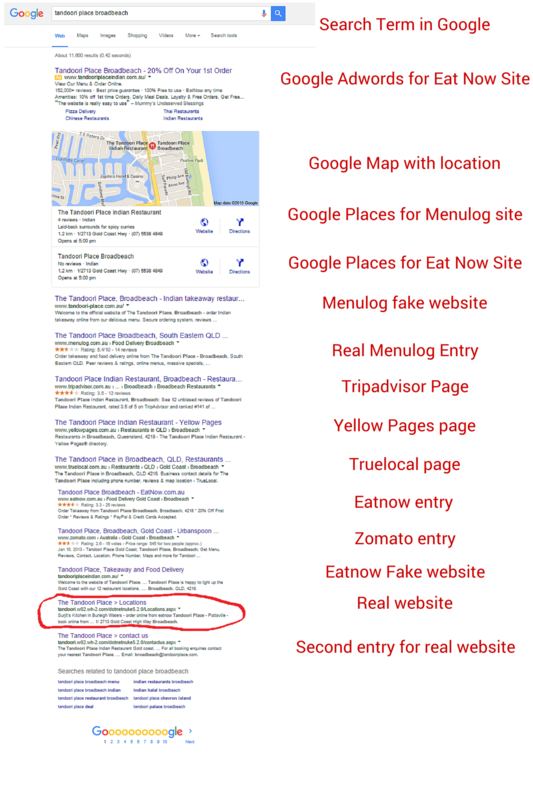 Some research conducted by the Marketing4Restaurants research team found that all Restaurants listed in Menulog was subject to brandjacking by at least one of either Eatnow, Menulog (both are owned by Just Eat) or Delivery Hero, with Zomato starting to conduct the practice as well, with the release of their recent Zomato Online offering. This would be over 5,000 Restaurants in Australia. If these practices are carried out as well it would suggest that over 250,000 Restaurants may be affected by brandjacking. The cost of brandjacking for a Restaurant could be over $20,000 a year. We know that many restaurants are generating thousands of dollars in online orders every week and some are paying over $2,500 per month in commission to the various online ordering companies. Some customers will have ordered through the online ordering company’s website or mobile app and Restaurants should pay commission for these sales, but many orders will have been placed by customers either on the Restaurants own site, on the online ordering companies site after a customer clicked a Google adword thinking it would lead to the restaurants website or they have ordered from one of the fake websites set up too look like the official restaurant website. We have even seen online ordering companies stating in adwords campaigns that consumers would be purchasing from the ‘official website’. The long term goal of online ordering companies is to build up a massive database of email addresses of people who order Take Out online. The database is worth a lot of money to them because it covers the dining habits of customers. They know which restaurants are popular, what cuisines are popular and even the ordering habits of individual customers. By using online ordering services, which generally don’t share email addresses with the Restaurants, Restaurants are not only giving up the email addresses that they require to build successful online marketing campaigns, they are feeding direct competitors. The database is worth so much to online ordering companies like Grub Hub because they can email offers for Restaurants which are struggling and who are prepared to pay a premium for the business, either through a discount to the customer, or higher commission or both. How can Restaurants fight back against brandjacking? Fighting back against large online ordering companies can seem daunting, but there are certain advantages that the local Restaurant has and by leveraging those strengths, you can definitely fight back on at least an even footing. Determine if you are a victim of brandjacking. Try searching for your Restaurant by name in Google. Look for adwords above your Restaurants entry and also look for search results of websites with similar names to your restaurants which link to a website set up by an online ordering company. For your Restaurant Name, in most cases you should be number 1 in the search results. Pro tip – use incognito mode in Chrome to search, this means that you previous search results will not be factored into the results which can often give you search results that aren’t being seen by others. Complain to the online ordering company. Ask them why they are competing against your website and if they have a fake website, ask them why. It would appear that many of the websites attempt to confuse your customers into ordering direct from the online ordering company. Complain to the appropriate regulatory body. Depending on the country, you may have rights over the domain name for the fake website or you may have a body that protects the rights of small businesses from those of larger companies. Many of these companies are multibillion dollar multinationals – some government agencies are tasked with protecting small business from these large companies. There are also government agencies to protect consumers and many Restaurants put up prices to cover the costs of the commission paid to online ordering companies. Get a Restaurant website that works. Your website is the central part of your online ordering system and too often we hear Restaurants saying that they already have a website when in reality it is a website that has been provided by a company like Menulog. 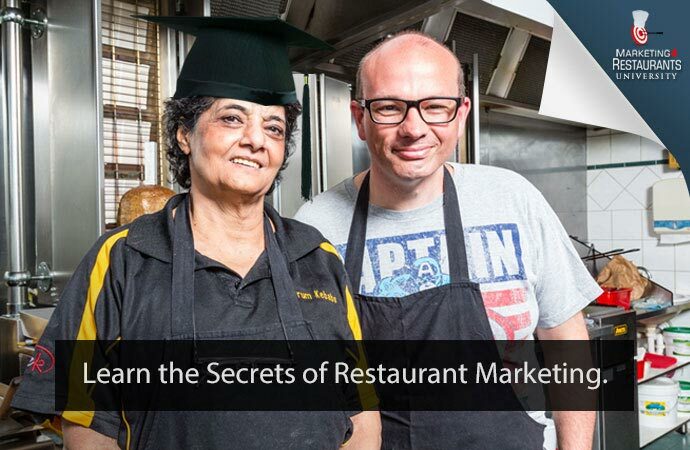 Sadly, many Restaurant owners don’t realise that they are sometimes paying $2,000 a month for a website that steals the email addresses from every customer who orders from them and does nothing to build their email database. The better your SEO, the higher you will be in the results. Use an alternative booking system. The Free Restaurant OnLine Ordering system allows restaurants to dramatically cut the cost of taking orders online, with charges being slashed to just processing fees from third party payment processors, like Stripe. This cuts the cost of taking orders on your own website dramatically. FROLO also pays within 4 business days, which is a lot better for cash flow and most importantly it builds your email marketing database automatically, not someone else’s. 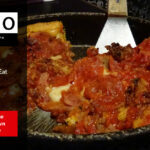 Online ordering systems up until now have been too difficult for most Restaurants to build themselves, but now FROLO, with it’s unique ‘no strings attached’ free restaurant ordering system gives Restaurants a big opportunity to get the maximum leverage from their most important asset, their own website. Consider stopping using the Online Ordering company. If they are trying to hijack your brand name with a Fake website, breaking the relationship with the company will stop them from taking orders through the fake website. Run your own marketing campaigns. The reality for many restaurants is that Online Ordering companies like Menulog are advertising against them every night. We talked to one of our FROLO Beta Restaurants about how he generated $1,800 of online orders in 1 night with just $50 of online marketing. Have a listen to the marketing podcast to see how he did it. Educate your customers. With every order that you receive from Menulog or Just Eat or Eat24 or whichever online ordering company you are competing with, include a brochure encouraging the customer to order directly with you. You may even want to offer a discount for customers ordering directly off you. It helps a small business, it helps a local business and it helps your customers with a lower price for them. We believe that there can be a lot of traction with the marketing slogan “Order direct from our Restaurant and receive X% discount.” This appeals to customers desire for a discount but more important makes them feel good by supporting a local business. Brandjacking is probably not going away soon, unless government bodies step in to protect small restaurant operators, but by following our 7 steps to fight back against Brandjacking you can protect the value of your brand name and build a strong marketing database with which to fuel further growth.